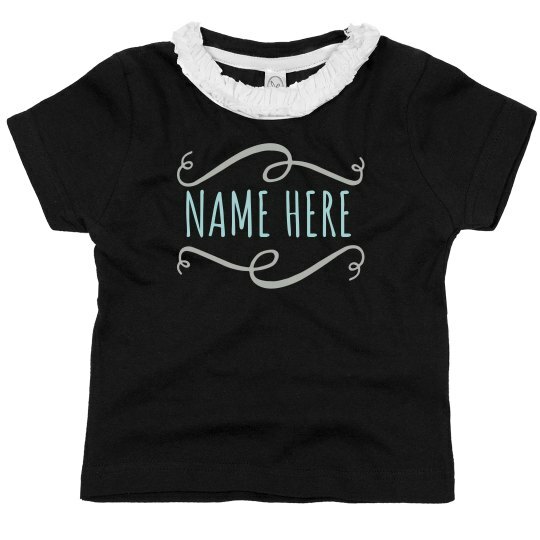 Customize this cute ruffle tee to your favorite little girl and put their name between the fancy ribbons. This design is perfect for best friends so they can be twinning everywhere they go together. Personalize one today and get another for their bestie!